Find the best home deals for sale in Beloit, WI, right now on Foreclosure.com at drastically reduced prices. 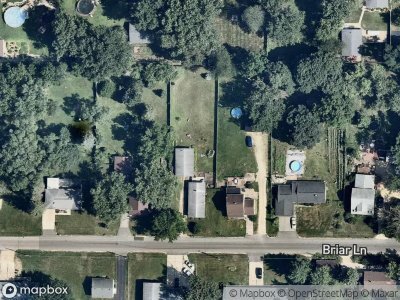 We currently have 1 of the best real estate bargains in Beloit, WI, in ”as-is, where-is" condition. These are discounted opportunities to buy a house in Beloit, WI for much less than current market value. As with any potential fixer upper in Beloit, WI you may (but not always) need to use some of the money you save at closing to make a few repairs and/or home renovations. Beloit is a city in Rock County, Wisconsin, United States. As of the 2010 census, the city had a population of 36,966. Twelve men in Colebrook, New Hampshire created the "New England Emigrating Company" in October 1836 and sent Dr. Horace White to find a suitable region of Wisconsin in which to settle. The level fields and the water power of Turtle Creek and the "unlimited gravel" in the area around what is now Beloit fixed the site of the intended village and farms. White purchased the land. At the same time as the Colebrook settlers, six families from Bedford, New Hampshire arrived and settled in the region. They said that the Rock River Valley had a "New England look", which made them feel at home. The village was platted in 1838 and was planned with wide streets which built on the New England model. Beloit was originally named New Albany (after Albany, Vermont) in 1837 by its founder, Caleb Blodgett. The name was changed to Beloit in 1838. There are currently 1 red-hot tax lien listings in Beloit, WI.